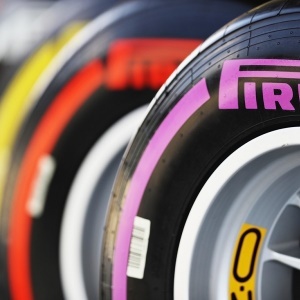 Cape Town - Pirelli have added the 'super hard' and 'hypersoft' tyres into the mix for the 2018 F1 season, extending the line-up from five different compounds to seven. The tyres will be the fastest in Formula 1 history as all the compounds are a step softer than the 2017 tyres. The new additions are a pink-coloured P Zero Pink hypersoft which comes below ultrasoft in the new set-up and Pirelli believe the newest, fastest compound will be suitable for the likes of Monaco where maximum mechanical grip is required. The 'super hard' tyres are the new slowest tyres but they will be coloured orange, with the hard tyres now given an ice blue makeover. The seven slick compounds will be introduced alongside the new Cinturato intermediates and wets. Head of Car Racing at Pirelli, Mario Isola, is confident the new line-up will lead to more "spectacular" racing in 2018. “Compared to this year, when the tyres grew by 25% to fit a brand-new generation of cars, the changes for next year are less far-reaching," said Isola. "However, we’re pleased to present some important innovations with softer and faster compounds across the range: including the new hypersoft. "We realised that, under the unique circumstances of this year, some of our 2017 compounds were perhaps conservative: the tyres we have created for 2018 addresses this, in line with the objective of having around two pit stops at most races. "However, the fundamental design concept of the tyres hasn’t changed next year, preserving the attributes that all drivers have appreciated this year and allowing them to push hard from the start to the finish of each stint.